Home Improvement around the Lake! Elegant Stencils and where to find them! How to Recover a Padded Headboard! Home DIY Projects	Best Way to Hang Pictures, etc. Best Way to Hang Pictures, etc. TGIF, Friends! This has been another busy week. We are slowly making our way through tons of boxes and finding a place for everything. We are still purging but at long last we’ve started hanging things on the walls. Exciting! So, what is the best way to hang pictures? I’ll share my secret! 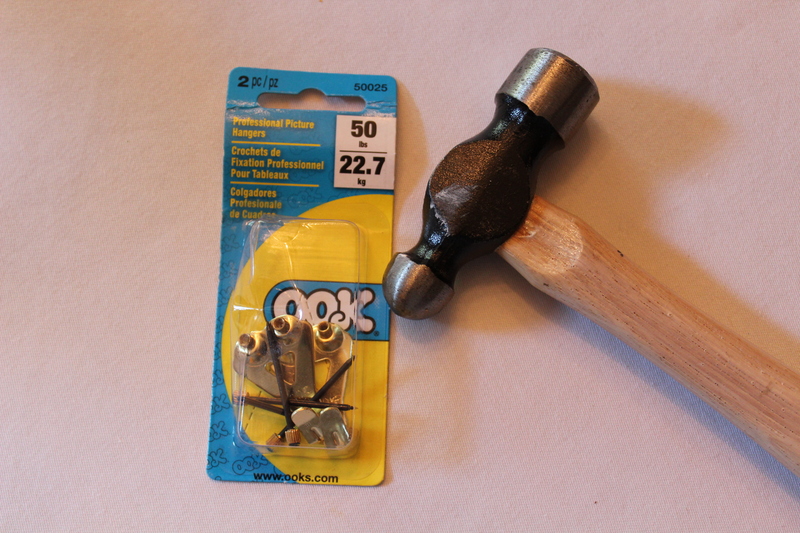 You can buy OOK hooks in a small pack like the one pictured below. This package contains 2 hooks, accommodates 2 nails and can hold up to 50 pounds per hook! There is also a place in the middle to add a screw (and/or wall anchor) in case you have something extra heavy (or precious) and want to insure its stability and safety. But usually the nails work just fine. They are available at most hardware stores but I like to buy them via Amazon. OOK Hooks are also available in a handy value-pak shown here. This professional picture hanging kit comes with 34 pieces and can hang up to 17 items. The largest hook can hold a whopping 100 pounds! Again, if you can find a stud in the wall to anchor the OOK hook to, so much the better. But because of the angled design of the nails and hook I have had great luck with them. This kit is available on Amazon Prime for $7.25 and can hang a variety of items and weights. Yes, my darling chandeliers are in the garage anxiously awaiting the electrician next week. And to my surprise and delight, there is an extremely nice and talented electrician who lives right down the street. Everyone we’ve met is so friendly and kind and we couldn’t be more pleased! This is such a lovely neighborhood-much like our last one. Prayers answered. So, next week after the electrician works a bit of his magic, I’ll share before and after photos. Meanwhile, I have a few dozen boxes to dig through in order to find the coordinating crystals and chandelier accessories. For once, I did have a little foresight and labeled the boxes accordingly so it shouldn’t be an impossible task. Antique Armoire in The Bathroom! Enter your email address to subscribe to this blog and then click "Subscribe" below. You will receive notifications of new posts by email. Convert a Pickle Jar into a Treat Jar for your Pets!